It’s the most popular printing method used for glass and porcelain. Alternatively called decal printing. 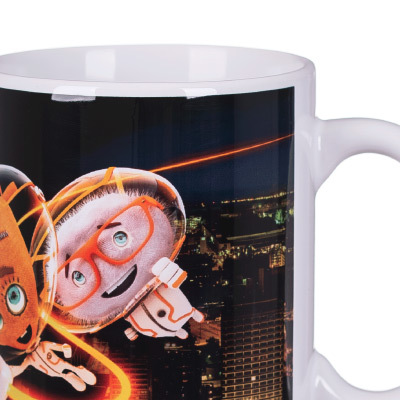 The production process is based on using special transfer paper which is the carrier for prints applied on mug or cup and fired in oven afterwards. Thanks to transfer, printing size can be larger than in other techniques. Secondly, decal enables decorating untypical, difficult surfaces, bottom prints, internal logotypes, allover wallpapers below the handle. This is a modern low-temperature printing method. The main advantage is almost the whole Pantone palette available. Colours are very vibrant and saturated. This is the only transfer print method where magenta is available. Quality of CMYK prints can be pretty well achieved, very close to offset technique. Prints are fired in 180 C degrees. They are dishwasher proof with limited resistance to mechanical scratching. There is a risk to damage the imprint with sharp tools like for example knife or scissors. 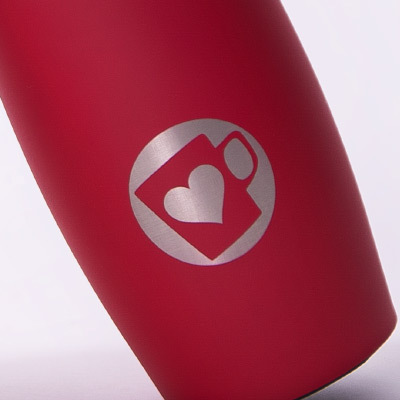 Thanks to this technology we produce decorations on stainless steel, for example, travel thermal mugs. The biggest advantage of that method is complete resistance, low costs, high precision, small quantities for decoration. 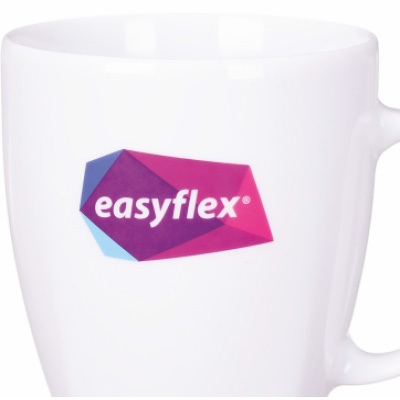 Modern technology enables glazing almost every model of the mug in any colour. The main benefit of Trendcolor is a possibility to achieve vibrant colours according to the Pantone palette. Small quantities and large series produced through this method are in a much better quality of colours than traditional products. Water inks applied to the process have certificates for food and drink contact. This technique is resistant to at least 250 hours, 60 C degrees of washing by household dishwashing machines. Low-temperature firing process doesn't guarantee complete resistance to mechanical damage. Trendcolor can be combined with Polylux and Deep Effect. It’s a digital print method made by special pigments applied on a decal paper. The main benefit of this technique is the high picture quality of printing. Colours are very vibrant and saturated. Thanks to above-average 1440 dpi resolution any small element is visible on the final product. This technique is the most recommended for full-colour projects. Firing temperature is 180 C degrees. There is an option to make dishwasher-proof mugs. There is no possibility to protect them from mechanical damages. 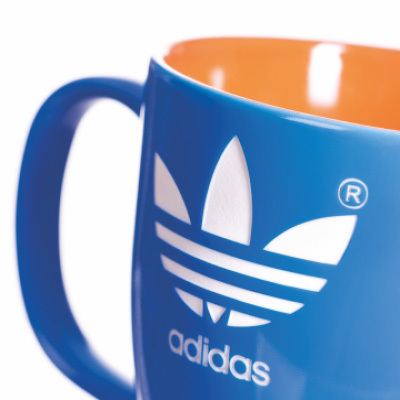 By Digital Print we produce heat change products called magic mugs. 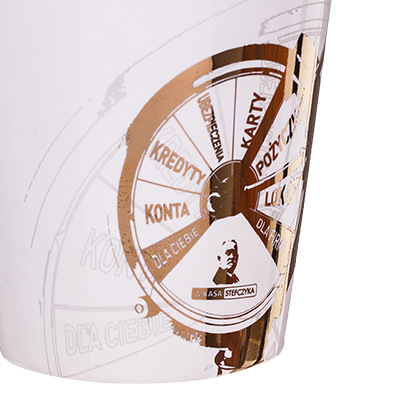 This method is based on automatic and direct printing on a mug. It enables to decorate articles precisely, fast and cheap in large quantities. The resistance of imprint and range of colours are similar to Transfer Plus method. Direct print has some limitations. First of all, the printing area is smaller than in other techniques. The only option is to decorate the external part of the product. Applied imprint cannot be positioned close to the handle. 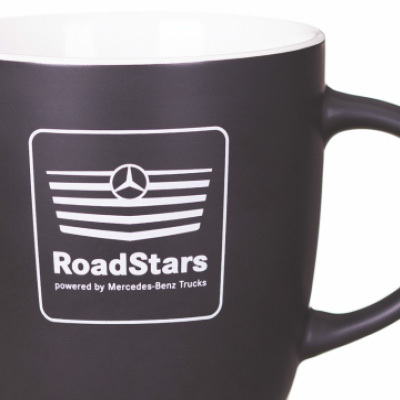 For instance, barrel mugs can be decorated in a very limited way, with small print size. This technique doesn’t achieve tonal transitions and full-colour printings. 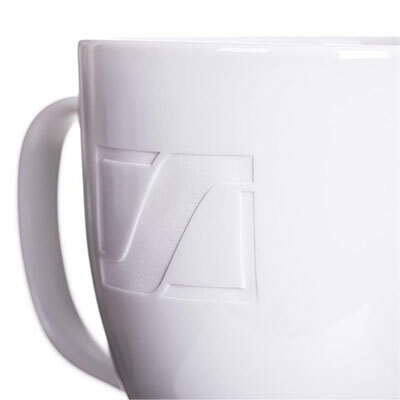 This is a high quality decorating method based on precise logo engraving. It’s a technology used for all kinds of articles made of ceramics, porcelain, and glass. An additional option is to cover the engraving with a separate colour which empowers high-quality finishing. Deep Effect is resistant to all conditions and chemical treatment in dishwashers and can be combined with other techniques for e.g. Trendcolor.